Texas Campaign for the Environment had a fundraising fashion show using recycled materials, what a great idea. They challenged student, professional and local designers to create fashion from trash and other recycled materials. I would love for this to take place here in St. Louis. Since , what seems like another life, I had been involved with the St. Louis fashion scene were I was creating wearable art. This idea piqued my interest and not to mention that my daughter participated with her own recycled fashions. I think we ought to take this challenge and bring it to our fair city. If anyone is interested let me know. They had the event at Delta Lumber and Millworks on 5th street in Austin Texas. I think an old loft in downtown St. Louis would be a great event space for this to happen here. 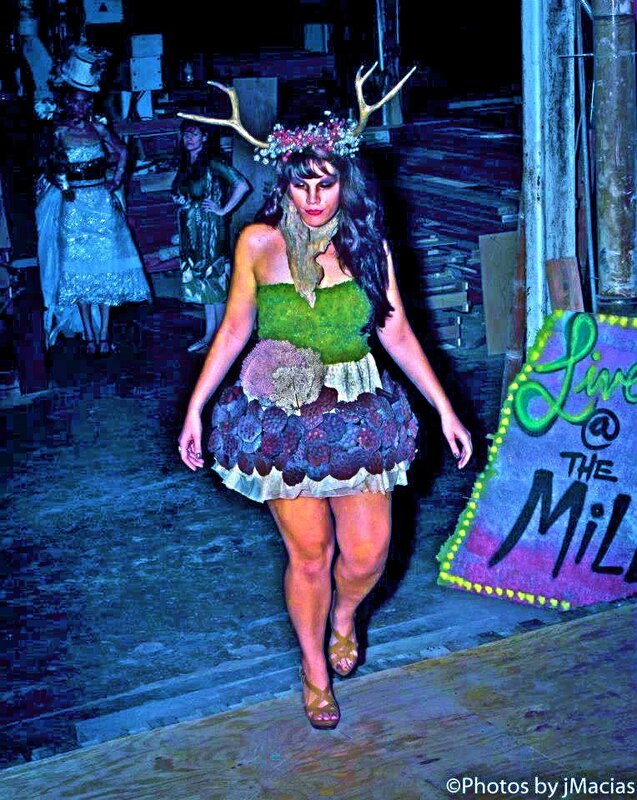 This is one of my daughter Jessi’s designs using lotus pods and a moss bustier and antlers from the Good Will. I think her model looks great and the photo is very cool. This is another of her designs a wedding dress made from packaging materials. The model even had a bouquet of Texas wild flowers to toss out. Her hat was made from a planter. Would you wear a trash recycled wedding dress? I think you might. I think its fab.